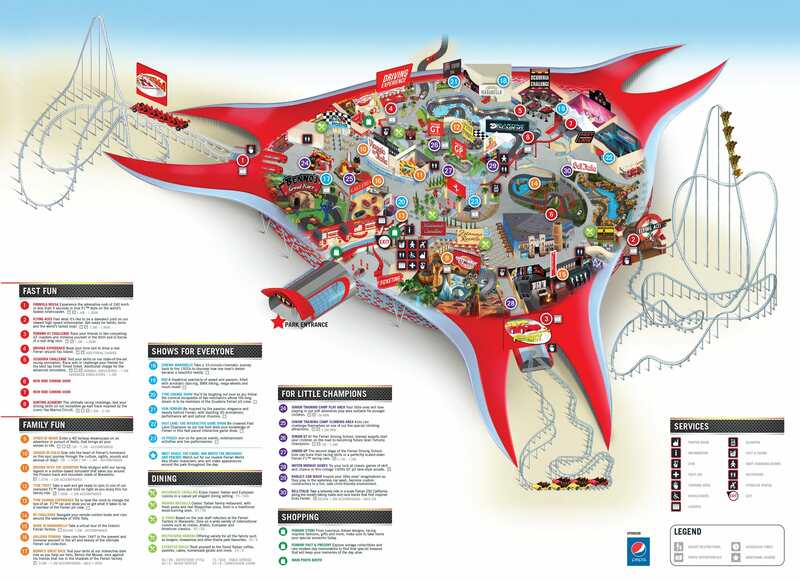 Experience a wide variety of rides and attractions suitable for every age member of the family at Ferrari World, the largest space frame structure ever built (with area enough to fit 7 football fields). Take the day to explore the first and only Ferrari-branded amusement park where you can practice your F1 car driving skills in a challenging race course. Experience Ferrari’s innovation first hand in Made in Maranello, an in-depth tour of the Ferrari factory and showcases how a Ferrari GT is made. Climb aboard a cinematic motion-based simulator and experience the thrill of F1 racing or enjoy an interactive game show with Fast Lane. Whether or not you're a fan of Formula One racing, you are bound to have an action-packed time at Ferrari World in Abu Dhabi.